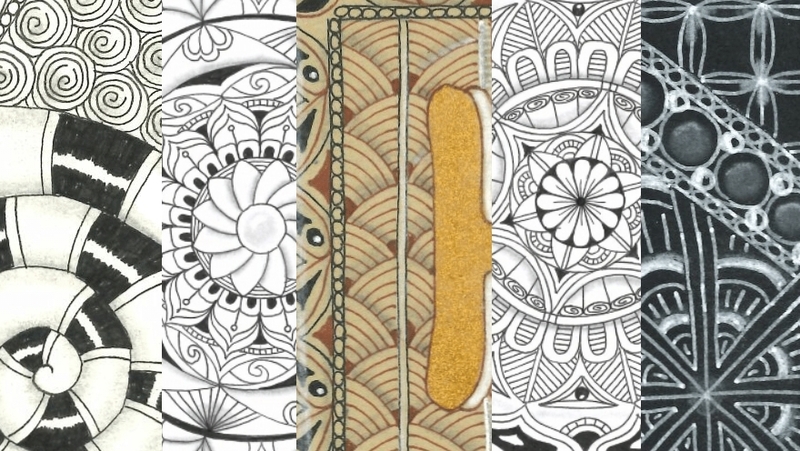 The Zentangle method is an easy to learn, relaxing and fun way to create beautiful images by drawing structured patterns which are called ‘Tangles’. Mandalas can be used to help to look inwards and connect to our inner balance. There is no right or wrong way to create a Mandala so the art form appeals to all ages and abilities. Both Zentangle and Mandala art can assist with mindfulness, aid focus, and help you to be calm and relaxed. We plan to run the classes in 4/6-week courses once we have enough students – if you think you might be interested please get in touch! 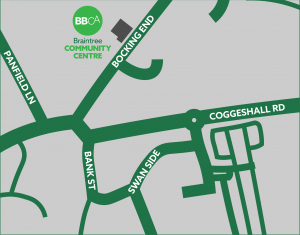 Email info@braintreecommunitycentre.org.uk or phone 01376 323280. Another great day was had with Maggie; next time we’ll be doing some hand embroidery in the Butterfly workshop on the 14th July. 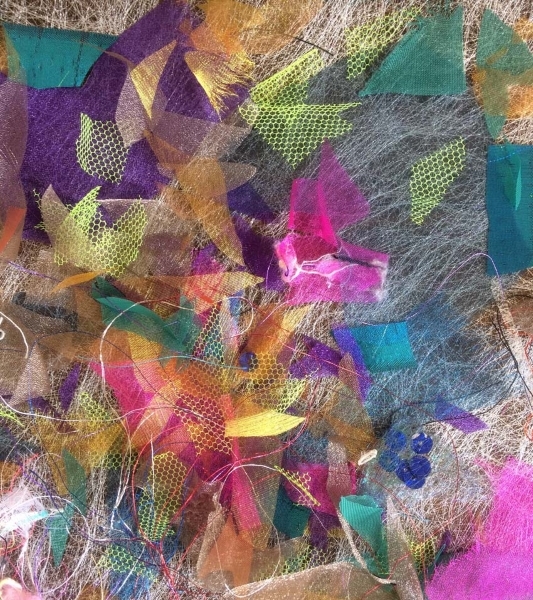 At the Confetti workshop we made these bright and beautiful pieces combining machine embroidery with a bit of imagination! Coming up next is “Spider’s Web” on 23rd June. 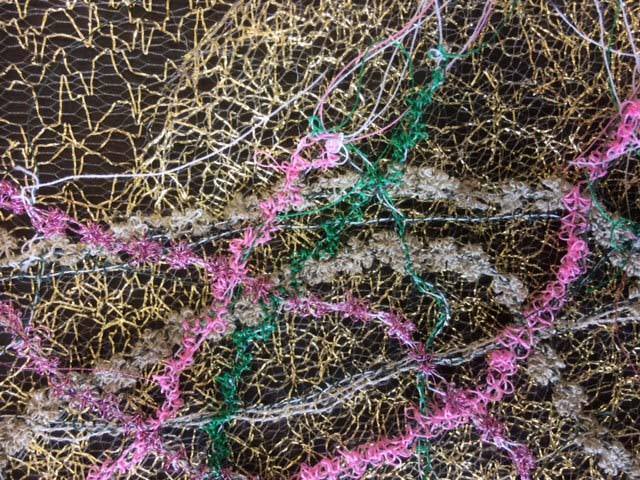 Yesterday marked the beginning of this year’s Braintree Summer School, with Maggie Harling’s Leaves: Machine Embroidery workshop. 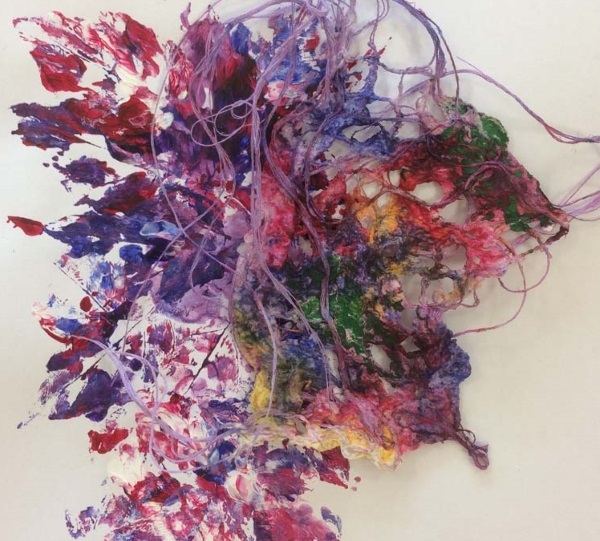 Here you can see some of the fantastic work created by the students! Open Art Gallery now online! Be sure to have a look if you missed out on seeing the exhibition in person! The exhibitio n is being held at Braintree Community Centre and will be on from the 19th – 28th August. Admission is completely free, so please come along and bring your friends! Please click “continue reading” for opening hours. Our Art on a Card auction has started! All of the lots, and instructions on how to bid, can be found on the “Art on a Card” Facebook page. If you can, please support us by spreading the word, sharing and bidding – thank you! The Braintree Art Trail has begun, with work by local artists on display in windows around George Yard Shopping Centre in Braintree. You can find an online copy of the map by clicking here, or when you’re in town you’ll be able to pick up a map from outside the front of the George Yard Management Suite (just on the left after you enter the shopping centre from Bank Street). From there you can begin following the trail! Don’t miss out on our competition, which will give you the chance to win a full term of weekly classes in any of the classes we run in the Community Centre – any of the BBCA classes listed here (link). 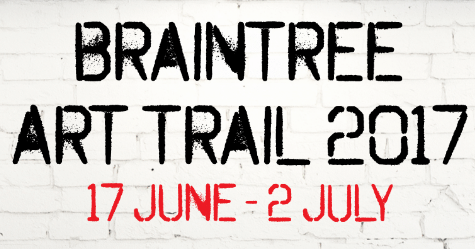 For your chance to win, join our Facebook page (@BraintreeCommunityCentre), and then share a picture of yourself in front of your favourite display in the Art Trail with us. You will then be entered into a random draw at the end of the Art Trail. Please help us by spreading the word with your friends and on social media!